I am honestly not too sure now. Will have to find out. I found that my exhaust is completely broken off right after the piggy back. and it happens to be between the 2 O2 sensors, which makes sense as to why its misfiring. I test drove the car for half a day yesterday to get all the codes to come back and i got misfires on 1-2-3-4-5-7. The exhaust being broken on bank 1 will cause a misfire due to the O2 not reading properly and running too rich. (makes sense why i smell fuel coming from bank 1) called up a shop. $120 to weld it back together, not bad! 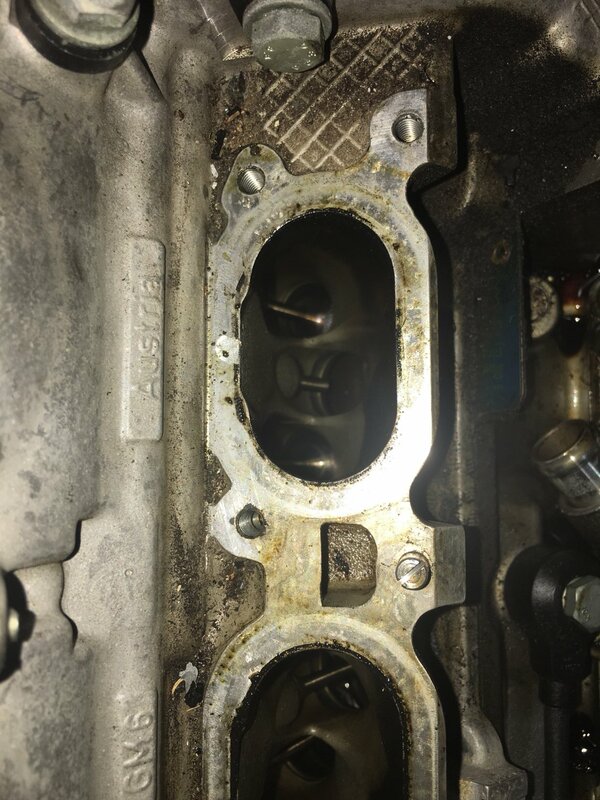 I would assume that cyl 5 and 7 misfires could be caused by bank 1 misfiring so bad. wont know until the exhaust is fixed. How many miles on car and do you have any service history? 130k miles, and the previous owner did show me his service records, and it checked out clean. i checked the timing a while back, and didnt see anything wrong with it. measuring blocks 93 was questionable, as it gave me 2 readings, 1 was at 49%, while the other was at 5%? cant remember the exact values. but thats a very close estimate by my memory. i dont remember exactly which measuring block it is . it is 90 something. You are looking for fluctuation in cam timing . compare both banks to each other . 091/094 4 - how many crank degrees is camshaft being advanced in real time (should be 0 at idle, 21-22 when engine is under consdierable load) over rest value. It is a relative value showing you difference between on and off state of tensioner Deviation from this shows issues with tensioners like installed backward or solenoid not activating properly. 093 3/4 - crankshaft degrees advancement on camshafts. Should be very close to "0" on both and is directly affected by how well is timing belt timed, assuming everything else is in specs (timing chains, tensioners etc). Scanned it, and indeed, timing has skipped. Motor is already half way out. It would be very interesting to see pictures of what you find under the timing covers, if you can. I only had the usual broken one in the center, and a binding mechanical cam adjuster on bank 2 that I blamed for the misfires there. I will definatly post pictures! Once i figure out how. I will probably finish the engine pull today if im feeling up to it, or monday.